Please inquire about other parts by part number. There are over 100 parts and assemblies available for these machines. In the process of replacing the belts on my machine I discovered what is probably the main cause for the belts jumping out of place. The pulley on the left hand honing wheel are not in line with the other pulleys! They should be exactly centered between the drive pulley on the grinding wheels and the final pulley on the right hand honing wheel. 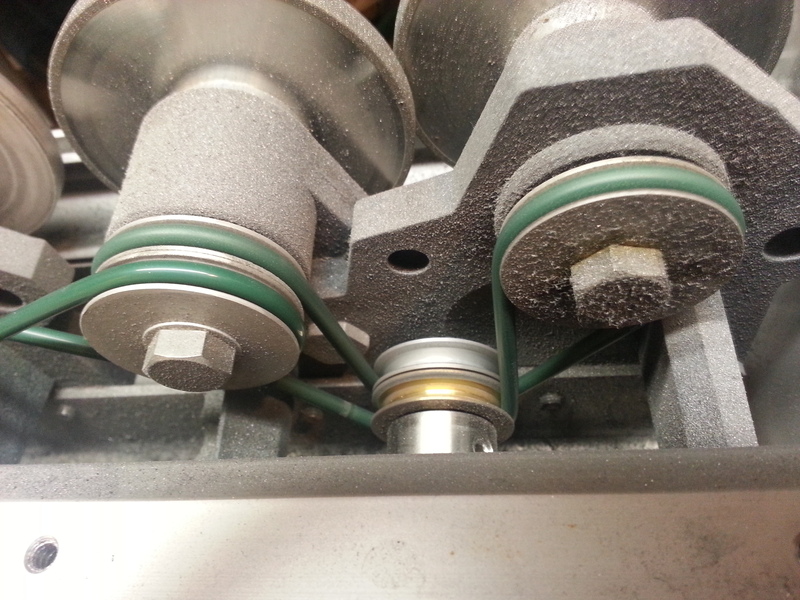 When you sight between the two pulleys on the LH honing wheel you should see the drive pulley and the final pulley. Instead the sight line is beside them. A fix is easy. 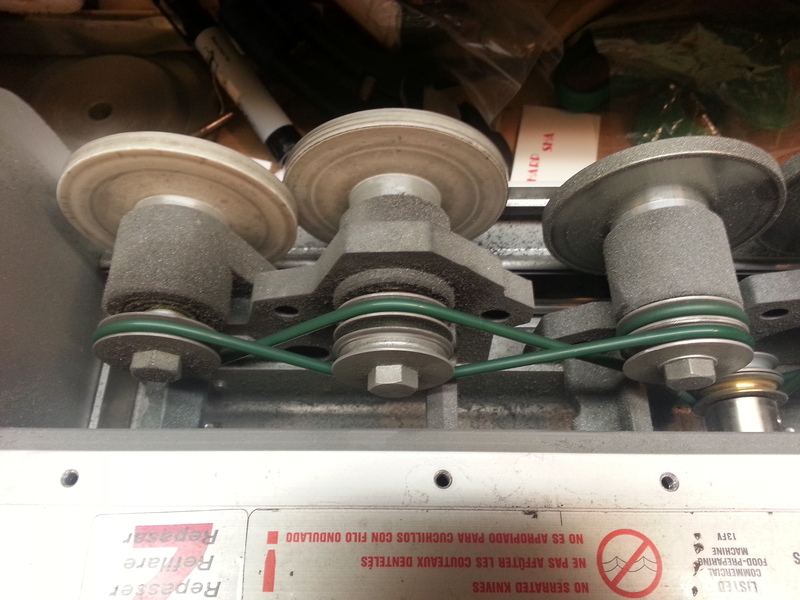 Remove the LH honing wheel shaft and move one washer. As shipped my machine's washer sequence was 1-2-1 starting from the front. If you change it to 2-2-0 they are in line. This should really help with belts stretching and jumping. I am no mechanical genius so I think any decent technician could do this. How to install belts on the RS-150 (applies to RS-75 as well). Long belt, RS-150 only. Click photo for large version. Short belt, RS-75 and RS-150.